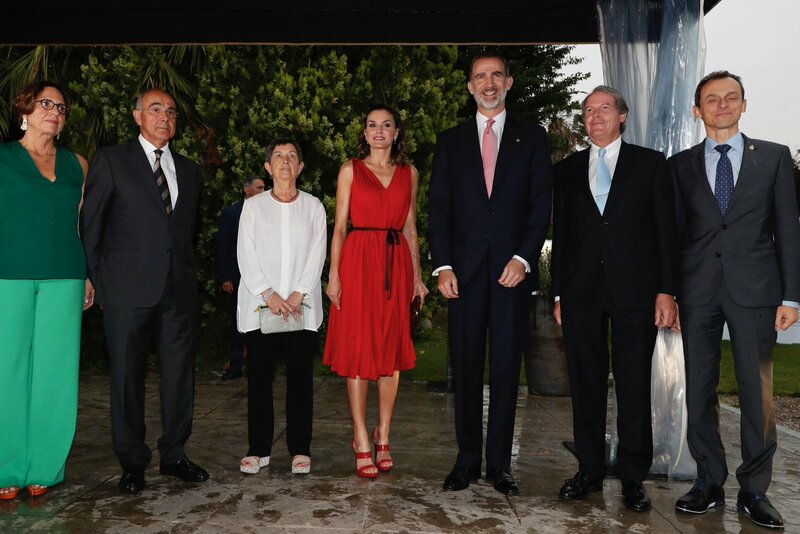 After attending the working meeting of the foundation and meeting the award winners, King Felipe and Queen Letizia had a quick change of wardrobe before attending the award ceremony at the Celler de Can Roca Events Center in Girona. The awards are awarded in five categories: four individual awards to young people (between 16 and 35 years old) who undertake and start a work, a business, an endeavor, especially if they entail difficulty or risk, and are creatively bringing the positive changes in society, and an entity that works in favor of young people, especially in the promotion of entrepreneurship, employability and employment, education and school success, vocation and talent. The Young Orchestra of Extremadura gave a musical performance during the ceremony. 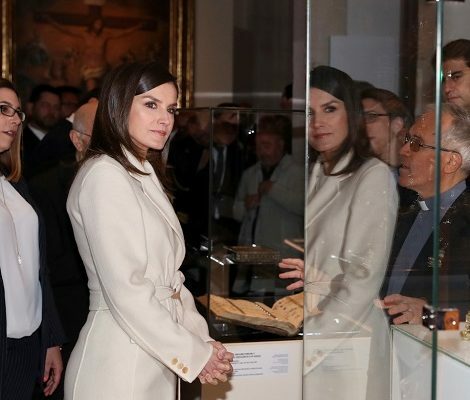 King Felipe and Queen Letizia handed out the Princess of Girona Foundation Awards 2018 endowed with 10,000 euros and a trophy designed by the sculptor Juan Muñoz. 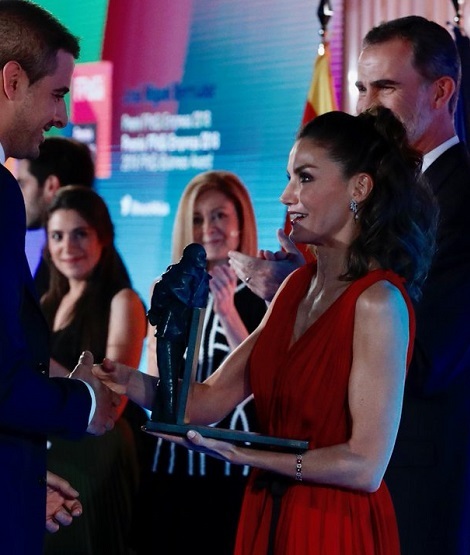 The juries of each category, formed by recognized experts in each field, have met in different parts of the Spanish geography (Mérida, Sevilla, Tenerife, Soria and Hospitalet de Llobregat) to decide the winners of this edition: the Granada singer Soleá Morente and the cellist Pablo Ferrández from Madrid (FPdGi Arts and Letters ex aequo awards), the Cáceres María Escudero chemistry engineer and the Sevillian chemist Guillermo Mínguez (FPdGi Scientific Research ex aequo Awards), the Barcelona aeronautical engineer José Miguel Bermúdez (FPdGi Empresa Award) , the social entrepreneur from Madrid Arancha Martínez (FPdGi Social Award) and the French organization Article 1 (FPdGi International Entity Award). 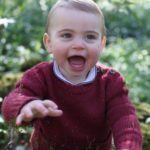 Felipe was greeted with a huge round of applaud after his encouraging speech. Felipe and Letizia posed for a group photograph with the award winners in the garden of the center. 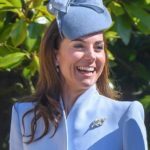 This year Queen Letizia chose to recycle one of her old looks for the annual awards. She wore red Carolina Herrera pleated crepe sleeveless dress that she premiered last year at 15th anniversary of Vocento in September. 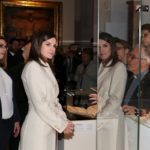 Letizia paired the dress with Magrit ‘Silvia’ red heeled slide sandals also debuted last year in July during her visit to Malaga. The strappy sandal are made of red ayers snake and available at Magrit for 465$. 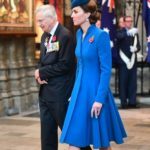 Queen was carrying red python handbag and finished her look with diamond earrings and beaded bracelet.